Martha Sweeney read 50 books of her goal of 30! Martha Sweeney read 33 books of her goal of 30! Martha Sweeney read 15 books of her goal of 10! 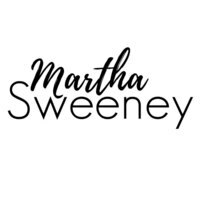 She lives in sunny California with her husband and enjoys writing poolside most m Martha Sweeney is an Amazon Best-Selling author who writes in a variety of genres: romance, suspense, thriller, coloring books, romantic comedy and science fiction. She strives to push herself as a storyteller with each new tale and hopes to push her readers outside of their comfort zone whether it be genre or the stories themselves. To ask Martha Sweeney questions, please sign up. Martha Sweeney Great questions! First, thank you for taking the time to read my books. Someone who had gone through several tumultuous events in just the matter of a…moreGreat questions! First, thank you for taking the time to read my books. Someone who had gone through several tumultuous events in just the matter of a few months since her sixteenth birthday; loss of her parents, thrown into foster care, almost raped by the male caregiver and feeling like she's responsible for the death of her own parents, Emmas has ultimate shut down from the world. Her flight to leave the east coast and move all the way out to California at the age of 16 is huge and taxing. She's ultimate on the run from the authorities, fearful of being put with another family that may be just as bad or worse as with Dean and Amber. The feeling of no control and wanting to take that back consumes her and fuels her actions. Emma does remember her father. You're only seeing a small figment of her memory from the day of the accident. Did she really wake up right at that exact moment when the accident occurred? To Emma, she did, so the last few seconds of what she remembers plays over and over in her head. There's guilt, sadness and a myriad of other feelings she's having since the day of when she lost them. The inability to cope, let alone to have closure with the event haunts her. She misses them and is haunted by the dream anytime she has to face an emotional point in her life. The dreams play several roles, but I won't reveal that just yet since you're only in book one of the series. It is an interesting thing what people hold onto with regards to situations and emotions to different events. Some people are able to continue forward while others get stuck in their own head. As you'll start to see, Emma has put forth a number of habits (some may seem neurotic to some extent), all because of what happened to her. For most, something major can trigger change and for the habits to suddenly alter to something you wouldn't expect - this is the case for Emma. Anytime the feeling of something changing that might be out of her control, Emma panics. Part of her panic attack is the reoccurring nightmare. With the new habits in place, which Emma uses as a wall to protect herself, it is very hard for those habits to alter in the slightest form let alone change altogether. Her nightmares are the result of sensing and knowing that things are changing - things her unconscious knows she has not power over. Don't hesitate to ask more questions. I love being able to share! The books were well written and I LOVED the significance of the photos in the photo albums. You are creative and informative. I read about TFT many times (years ago), but your writing about it, was amazing and informative. I am now researching the options. We’d love your help. Let us know what’s wrong with this preview of Dark Waters by Jessica Ozment. We’d love your help. Let us know what’s wrong with this preview of Cop Tales An Anthology for a Cause by T.R. Cupak. Lelyana has completed her goal of reading 218 books for the 2018 Reading Challenge! I had a blast writing Leia's (aka Laurie's) story. It took two years to finish the sequel, but it had to do Laurie and Aiden justice. A HUGE shout out and thanks to Laurie Breitsprecher for being the cover model and to Rebecca Cohen for photographing I had a blast writing Leia's (aka Laurie's) story. It took two years to finish the sequel, but it had to do Laurie and Aiden justice. A HUGE shout out and thanks to Laurie Breitsprecher for being the cover model and to Rebecca Cohen for photographing Laurie for "Killmore" and the box set. 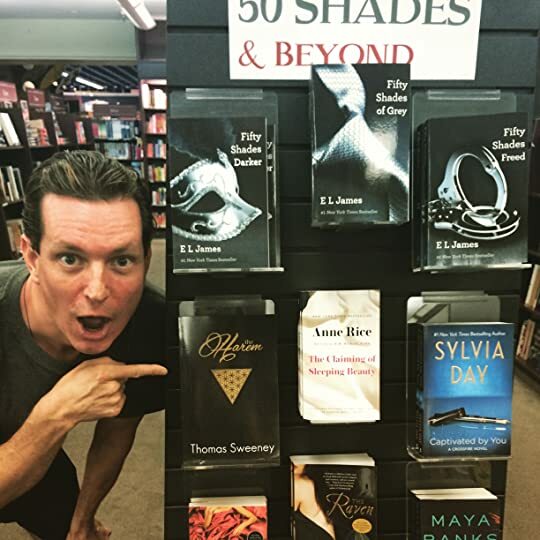 Martha Sweeney added a status update: Get my first EVER published book for FREE! Thank you! Hope your holiday season is blessed. Happy New Year! Cristina | CristiinaReads wrote: "
I'm SO excited to announce that The Killmores (Killmore #2), the sequel, the final installment, of the Killmore series has a release date!!! Hey Book wrote: "Thank you for accepting our invitation! We consider it an honor to have you on board with this amazing project we are starting. Please let us know if there is something we may be of help. Linda wrote: "Thanks, for the freind invite. Linda"
Thank you for accepting our invitation! Latisha wrote: "Thanks for the book recommendation!!! I'll read it next!!" You're welcome. Feel free to reach out to Nenia. She's awesome! Thanks for the book recommendation!!! I'll read it next!! Nicole wrote: "Thank you for accepting me friend request :)"
Christine wrote: "Martha I was wondering if you can autograph your book called breathe in ( just breathe #2) please"
Maria wrote: "Hi Martha, thanks for the friend invite. I look forward to reading your book, as well. I already like the "Eight Golden Rules". ; )"
Maria, you are awesome! Thank you! There is an excerpt of the first 3 chapters here on GR. Hi Martha, thanks for the friend invite. Donna wrote: "You should stop our group read and join in as well :)"
Read the first three chapters of my first novel Breathe In here on GR! 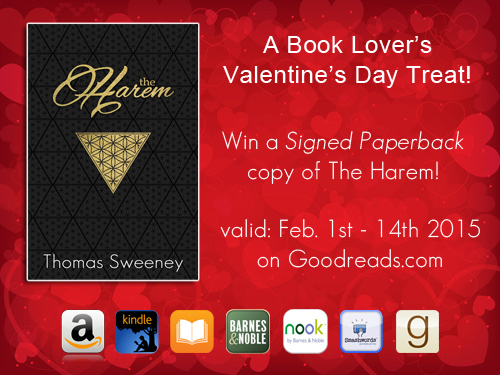 My hubby has his book up as a Valentine's Day GoodReads Giveaway! Hazel G. (I ♥ Mancandy) *Craves the Angst Reviews* wrote: "Thanks for the friendvite Martha!! Hope to see you around Goodreads. Happy Reading :)"
Wendy wrote: "Lovely to connect on here! Good luck on your reading challenge. :)"
Stephanie wrote: "Thanks for the friend request. Happy to have a friend." Thanks for the friend request. Happy to have a friend. Sam wrote: "Hi Martha, thanks for the friend request. I look forward to chatting with you about books. :)"
Yvonne wrote: "Thanks for adding me to your friends!" Lisa wrote: "Thanks for the friend request Martha!" Thanks for the friend request Martha! Chryssa wrote: "Thanks for the friend invite Martha! Thanks for the friend invite Martha! Catherine wrote: "Hi Martha thanks for the friend invite look forward to seeing you on GR's have a great Xmas "
Armina wrote: "Hi Martha! Thank you for the friend request! :)"
Elle the ClosetRomanceReader aka Leftie wrote: "Hi Martha! Thanks for the add!" Shanny wrote: "Thanks for the friend invite Martha :).See you around GR!!"